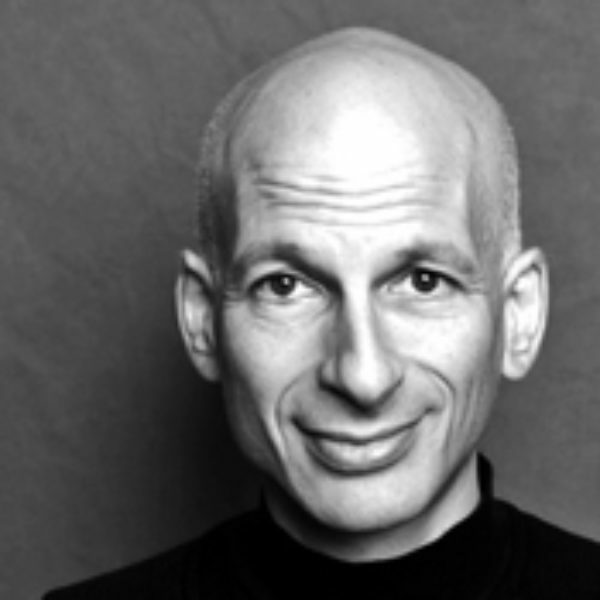 “The challenge of our future is to say, are we going to connect and amplify positive tribes that want to make things better for all of us?” Entrepreneur and digital wise man Seth Godin on our capacity to use connection to elevate and advance the human spirit. Image by Bill Wadman, © All Rights Reserved. 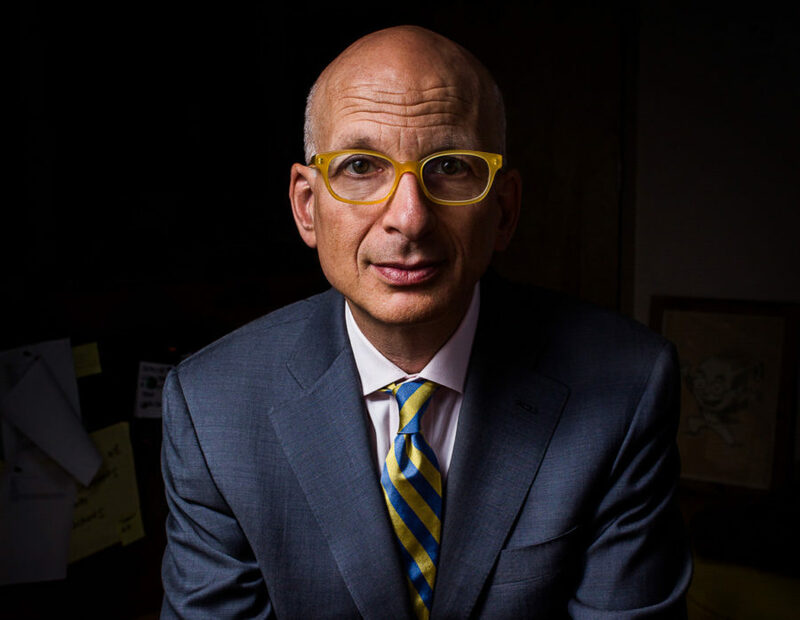 Seth Godin writes the wildly popular daily, Seth’s Blog. His podcast is Akimbo. His new book this fall is This is Marketing: You Can't Be Seen Until You Learn to See. He’s the author of many best-selling books, online and in print, including Purple Cow, The Dip, and Linchpin. In 2018 he was inducted into the Marketing Hall of Fame. KRISTA TIPPETT, HOST: When Einstein praised spiritual genius in his age, he saw it as a counterbalance to technological advance, to a destructive, unreflective application of the fruits of science. This generation’s wisdom is being spun in concert with technology. The Internet is our version of splitting the atom. It holds immense powers, both perilous and promising, as it upends the meaning of ancient, elemental things like making and leading and belonging and learning. A concern I live with, and which complicates my sense of the transformative possibilities of the age in which we live, is how much the digital world disperses the very energies and initiatives it makes possible. My favorite wise man about the internet, Seth Godin, is attentive to this danger too. But looking at life writ large through the lens of the Internet, he also sees that the digital world hands us a power to create our own tribes bound by passion and service, quite apart from bloodline or geography. Something that I’m really intrigued by that I feel you’re adding to is this sense, or this knowledge, that we all have that we are living in a moment of great flux. We are living in evolutionary times. I read as I was digging into you that Charles Darwin was a really formative figure for you. Seth Godin: Yeah. 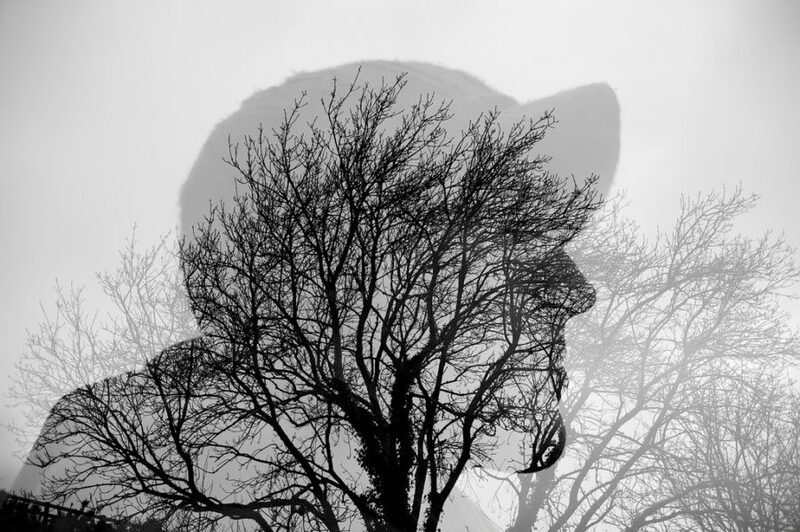 People impart a lot into the notion of evolution — some of which wasn’t Darwin’s work itself. But what is important here is not only do times change, but those times change not just our stories about ourselves and our expectations, but they actually are changing our brain. So when the Industrial Revolution came, there were 20 years when basically everyone in Manchester, England was an alcoholic. Instead of having coffee carts, they had gin carts that went up and down the streets, because it was so hard to shift from being a farmer to sitting in a dark room for 12 hours every day doing what you were told. But we evolved, we culturally evolved to be able to handle a new world order. And so when we talk about evolution as a metaphorical thing where we have memetics and ideas laid on top of this idea of survival of the species and things changing over time, what fascinates me about it is that this bottom-up change in the world is everywhere all the time, so much more common than change that gets put down on us by a dictator or by someone who’s putatively in charge. And yet we ignore this bottom-up thing when in fact it’s the thing we are most likely to be able to touch and change. Ms. TIPPETT: But also I think what you’re pointing at in a lot of your work is that because of the way the world has changed, subjectively, because we’re living in a post-geography world — that’s a phrase you use — because we have what you call a connection economy, technology is actually empowering that bottom-up change, and dismantling the hierarchical, overbearing leader model that a lot of us actually still grew up with. Mr. Godin: And at the same time that is what’s empowering technology. So they’re both feeding on each other. The Internet wasn’t built by 30 people who are working for a boss. It was built by 300,000 people, many of whom have never met each other. And that this protocol and that technology work together even without a central organizing force. And that’s happening to every industry. And it’s happening even to the way our communities organize and the spiritual organizations that we get involved in. Ms. TIPPETT: I want to bring in the word “tribes” that you use, because that’s another way you’re using a word that we associate with something primitive that we think — that we thought modernity was about outgrowing. Ms. TIPPETT: You are actually really affirming that it’s not, you know, identity doesn’t matter less it matters as much or more. But you’re saying that now it’s not just a matter of blood and lineage that’s given to you. It’s something we create and choose. We choose who and what we belong to. It’s not just about survival. It’s about connection and flourishing. Mr. Godin: So, you know, in the desert or the jungle, the tribe was defined by geography alone. That you were in the tribe based on where you were born. And then if we fast forward to, I don’t know, Mark Twain, Mark Twain would show up in a city and a thousand people would come to hear him speak. And everyone who came was in his tribe. They were in the tribe of slightly satirical, slightly jaundiced people who were also intellectuals who could engage with him. And he had never met them before, but within minutes, they were part of a congruent group who understood each other. And so if we fast forward to today, you can take someone who hangs out in the East Village or Manhattan who has 27 tattoos, they go to Amsterdam, they can find someone in Amsterdam who talks their language and acts like them, because they’ve chosen the same set of things that excite them, and that they believe in. And we divide tribes as small a group as we want. But what the Internet has done has meant that we don’t have to get on a plane anymore to meet strangers who are like us. That the Linux operating system, which is on a billion computers around the world, was written by a group of strangers who have never met who are part of the same tribe. And so the challenge of our future is to say, are we going to connect and amplify positive tribes that want to make things better for all of us? Or are we going to degrade to warring tribes that are willing to bring other groups down just so they can get ahead? Ms. TIPPETT: The myth of Icarus is one that you’ve been thinking about a lot lately, and bringing into your work. And I think you’ve been talking about what that holds for you. But explicitly say — you’ve called it “the Icarus deception.” What does that mean to you? And for me, the most important message that I’ve come to after thinking about this for so many years is, we are flying too low. We built this universe, this technology, these connections, this society, and all we can do with it is make junk? All we can do with it is put on stupid entertainments? I’m not buying it. I think we are capable of being bigger than that. I think we’re capable of going beyond division and into connection. I think we’re capable of dealing with the shame that comes from vulnerability, and opening ourselves to what the audience wants to tell us. And I think that this society now has said to people, wherever they live, we can have more faith. We can have more faith in community and charity and innovation and dignity and education. Courtney shares the practical insight of a wise elder — on the tumultuous history we've lived through, and the work we must do to shape our future differently.